"Casa Concordia" in Son Bou, Menorca, sleeps 12 people. Casa Concordia is set in a quiet area of Son Bou on Menorca's west coast; this lovely villa is perfect for families and friends who wish to holiday to together. Casa Concordia sleeps 12 people in 6 bedrooms - 3 bedrooms have king-size double beds, 1 of the bedrooms has a normal size double bed, with the remaining 2 bedrooms having twin beds. All the bedrooms are en suite, with one more family bathroom. You have a living room with a satellite TV and DVD player. With the kitchen having a cooker, microwave, dish washer, fridge and a coffee machine. There is a washing machine in the utility area. Outside you have a private swimming pool, with sun loungers around the pool. You have a built-in barbeque, seating and an outdoor dining area. Casa Concordia is in a quiet area, but is still close enough to the amenities. The nearest shop, bar, restaurant and the beach are all 500 metres. At the beginning and end of your holiday, Menorca Airport is a 20 kilometre drive (or taxi ride). Menorca is one of the three Balearic Islands, and is the second largest, with Majorca being the biggest of the three (and Ibiza being the third island). A quieter island than Majorca, Menorca makes a great destination to spend your holiday. You'll find an assortment of villas, from nice small romantic villas, to large villas suitable for friends and family. 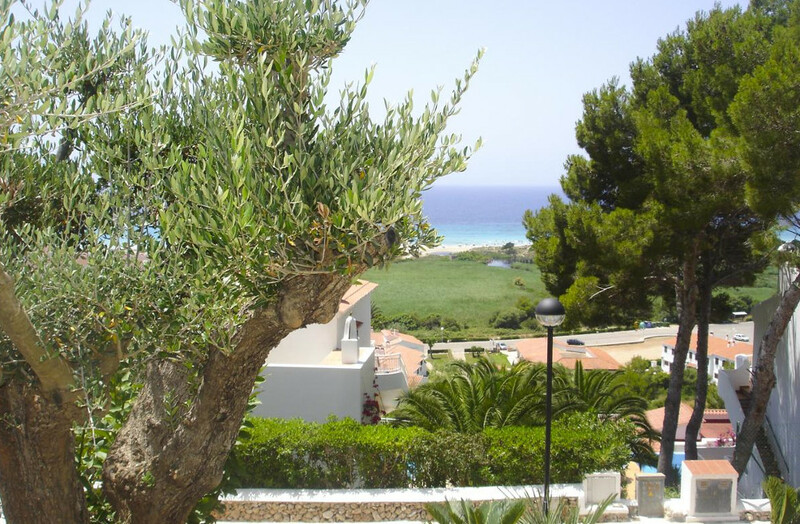 The villa above is Casa Concordia - in the Son Bou, region of Menorca. We've also listed several other villas on Menorca, so hopefully you'll find something to suit your holiday needs!